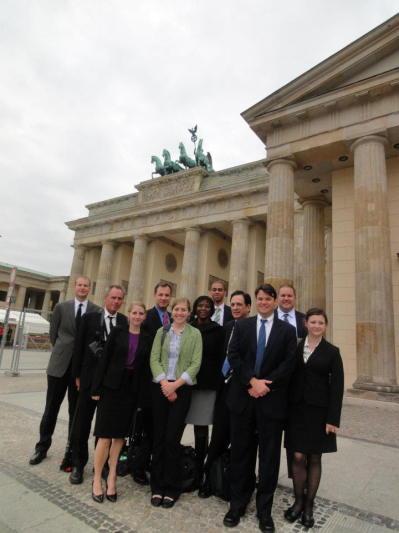 Two Rias Fellows and Commission member Dr. Hildegard Boucsein attended the Conference “25th Anniversary of the Fall of the Berlin Wall and the Collapse of the Soviet Union” at the George Bush Library, College Station, TX, organised by the Bush School of Government and Public Service of the Texas A&M University. 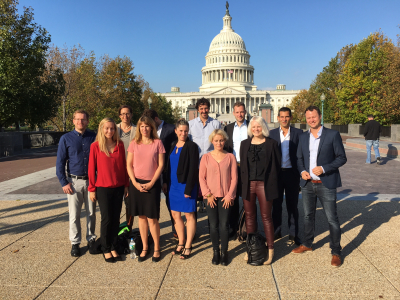 Special Guests: Elmar Brok, Chairman of the Foreign Affairs Committee of the European Parlament; Horst Teltschik, former Dep. 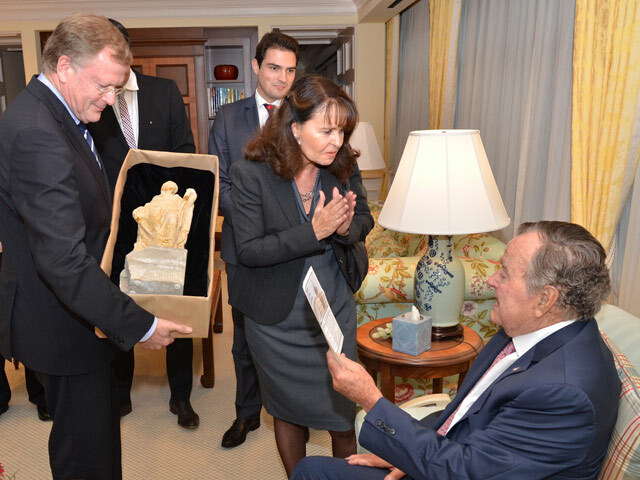 Chief of the Chancellory and close advisor of chancellor Helmut Kohl; James Baker, former U.S. Secretary of State; Brent Scowcroft, former National Security Advisor. 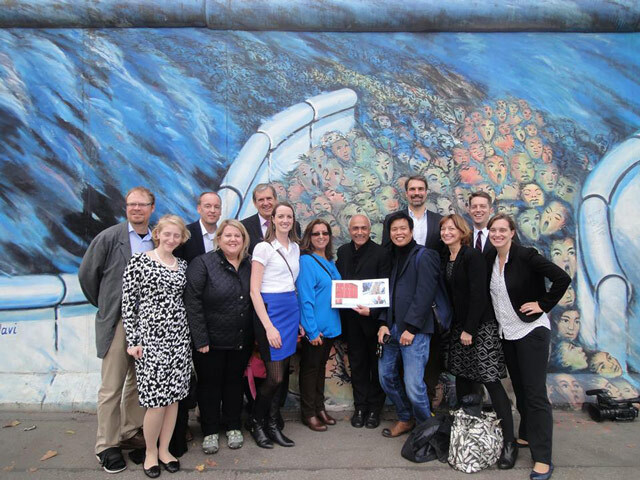 Eight U.S. journalists participated in a special Berlin Program, commemorating the fall of the Wall on November 9th, 1989; 25 years ago! 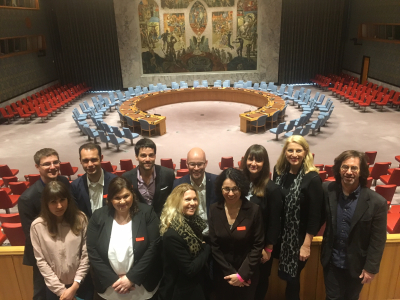 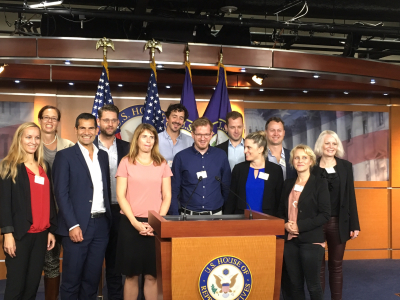 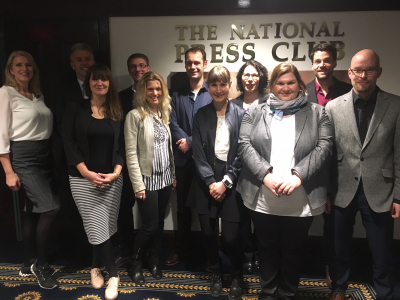 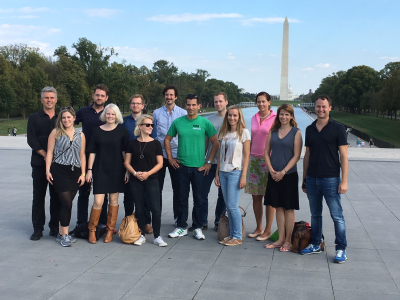 Eleven German journalists participated in the U.S. Fall Program with the first week in Washington D.C. and the third and last week in New York City. 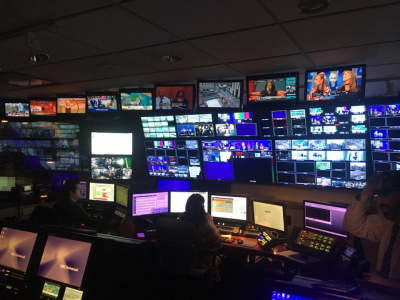 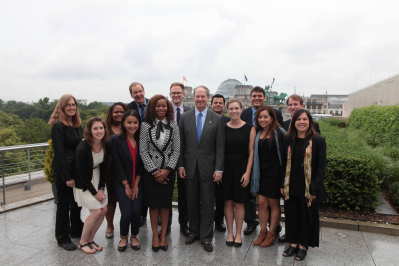 Individual internships in their second week gave them a chance for a close look at U.S. radio and tv stations. 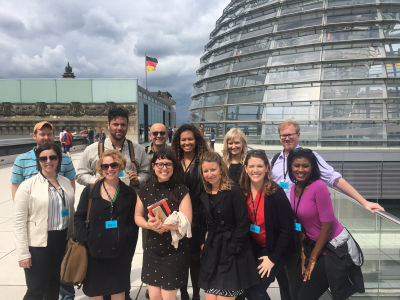 Two German journalists joined the Visiting Media Fellowship Program of the Duke University, Durham, NC, with field trips to New York City and Washington D.C.
Twelve U.S. journalists participated in the two-week Germany Fall Program with stops in Berlin, Leipzig, Cologne and Brussels. 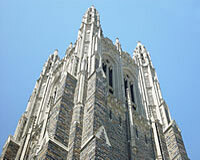 Four used an extension of up to one week for research and reporting activities. 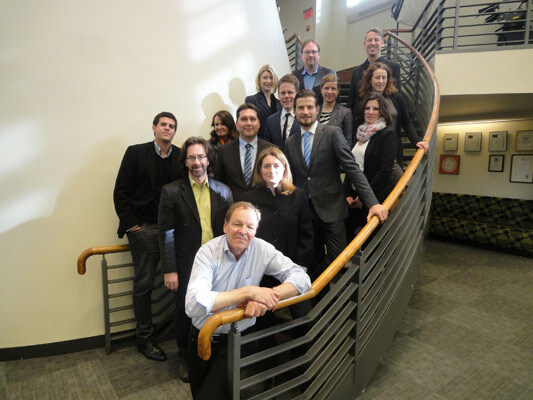 Meeting of RIAS U.S. 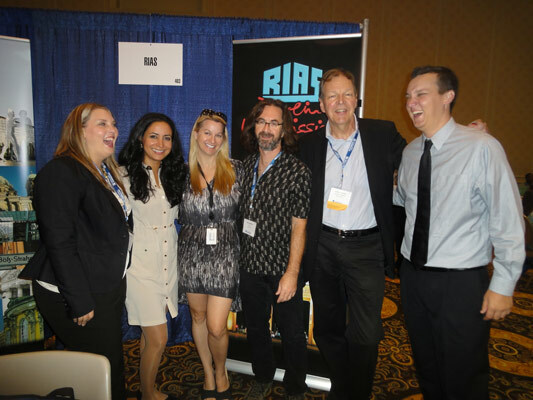 Fellow in Nashville, TN, coinciding with EIJ 2014 by RTDNA and SJP. 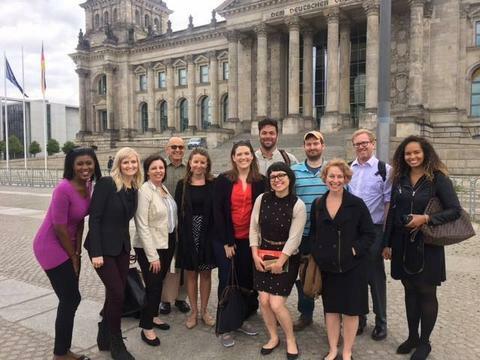 Thirteen U.S. journalists participated in the 2-week Germany Summer Program 2014 with stops in Berlin, Dresden, Prague and Brussels. 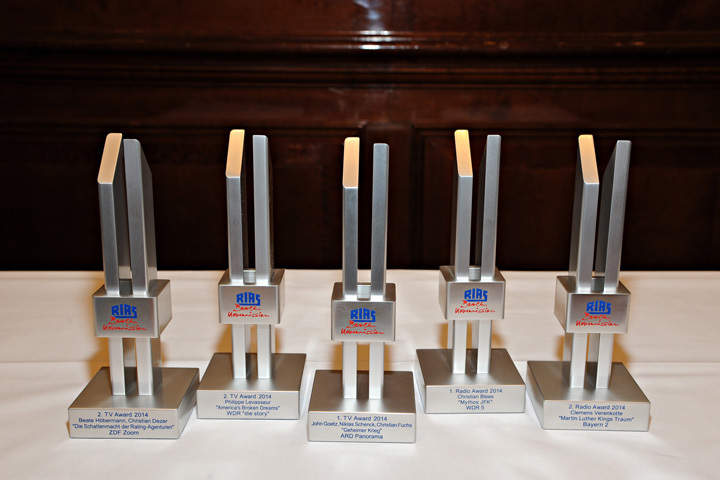 Breakfast Reception and Award Ceremony. 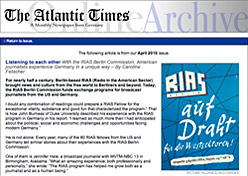 At the 30th meeting of the RIAS BERLIN COMMISSION, chairman Thomas S. Miller welcomed the newly appointed Commission Members David Ensor, Director VoA; Peter Limbourg, Intendant DW; Dr. Günter Winands, MinDir. 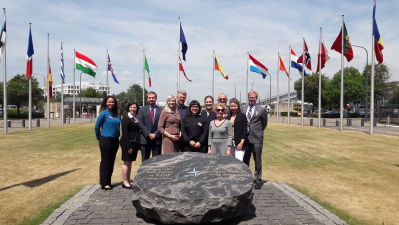 BKM; and Jürgen Hardt MdB, Coordinator for transatlantic Cooperation, Auswärtiges Amt; as well as the reappointed members Dr. Hildegard Boucsein, Staatssekr. 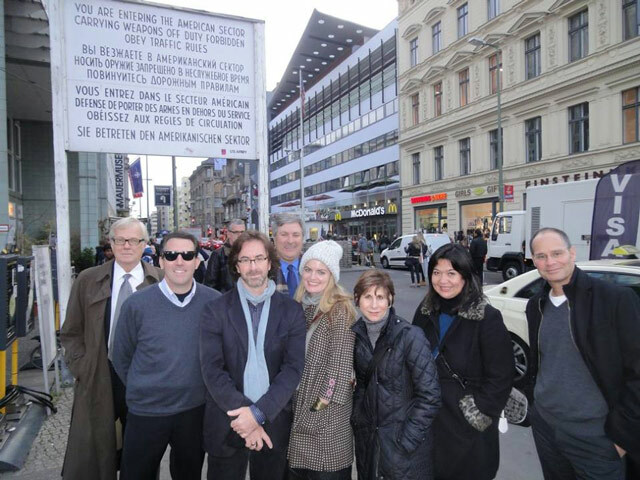 a.D.; Dr. Melinda Crane, DW Berlin Correspondent; Dr. Helena Kane Finn, Vice President ACG; Erik Kirschbaum, Reuters Berlin Correspondent; and Dr. Richard Meng, press speaker for the Senate of Berlin. 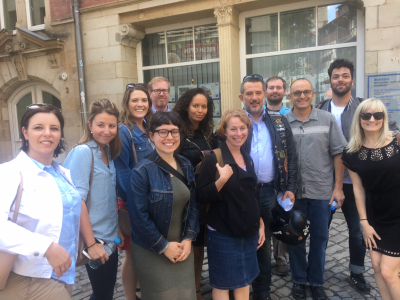 Peter Limbourg was elected as Dep. 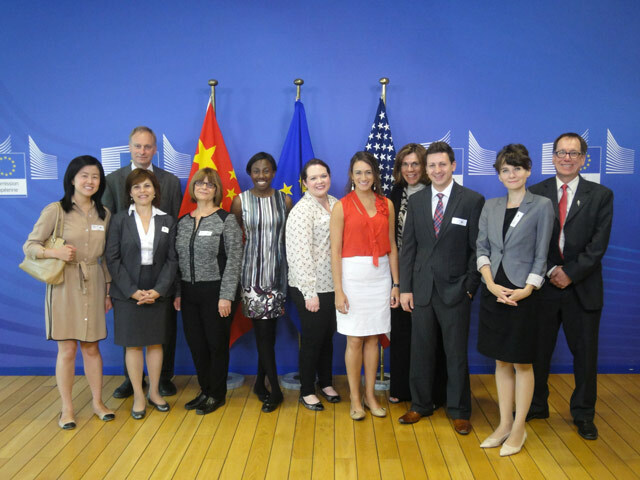 Chairman, who will assume the chairmanship in spring of 2015. 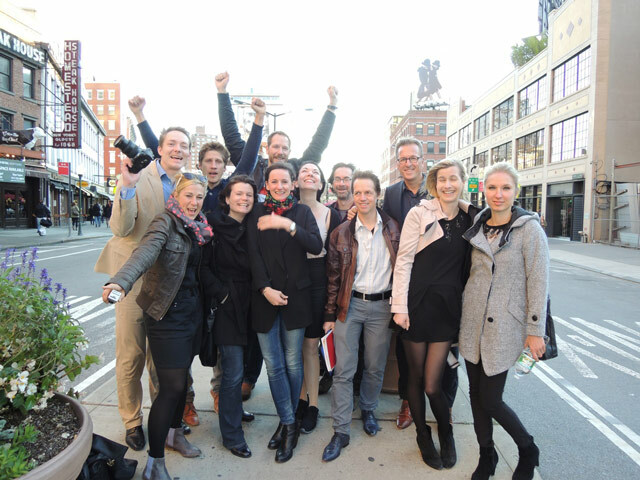 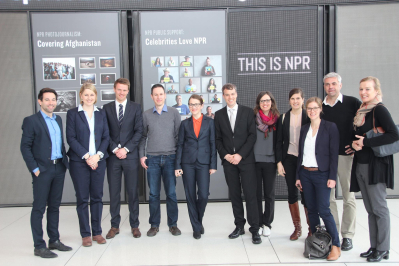 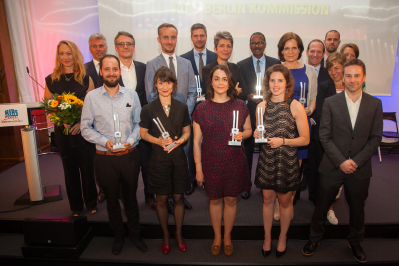 Eleven German journalists participated in the U.S. Spring Program 2014, with the first week in Washington, D.C. and the third and last week in New York City. 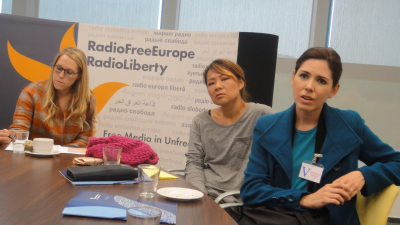 Individual internships in their second program week gave them a chance for a close look at U.S. radio and TV stations.